In the mid-range smartphone market, devices that offer the best price to performance ratio is usually more preferable among budget-oriented consumers. 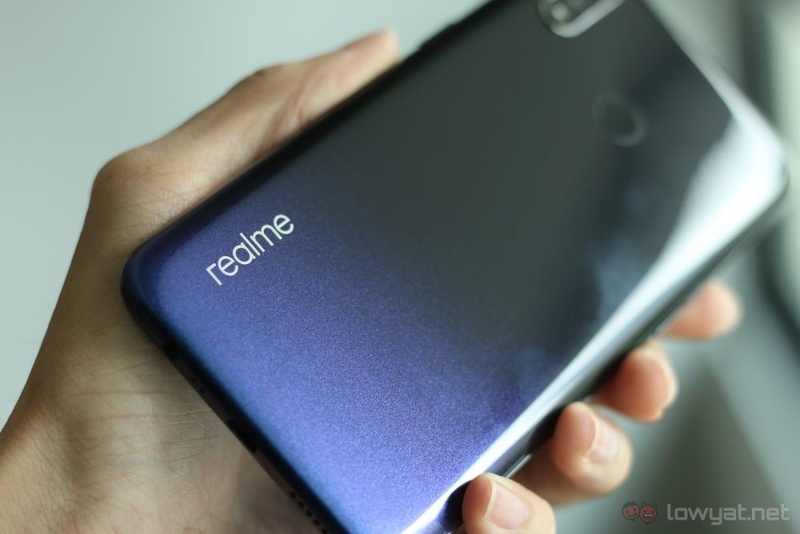 While Realme may not be a household name, you should start putting it on your radar if you’re looking for a mid-range smartphone. 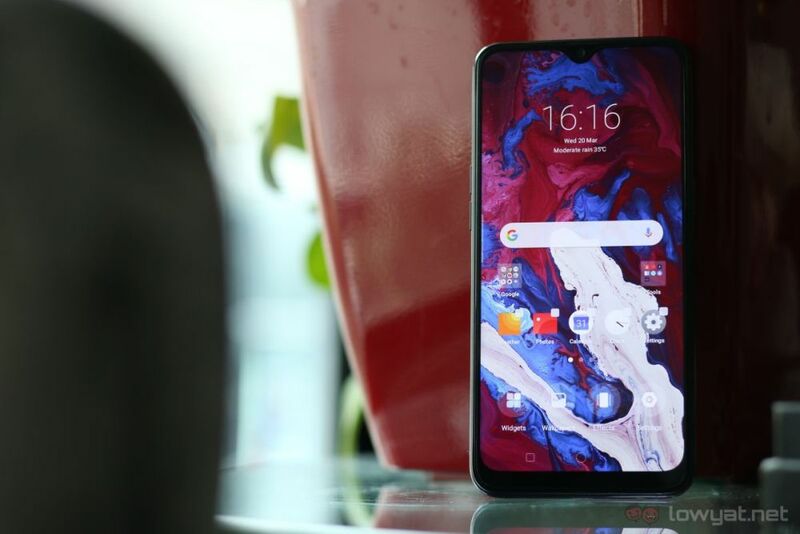 Naturally, the Realme 3 is updated with better hardware over its predecessor and there is a lot of favourable features. 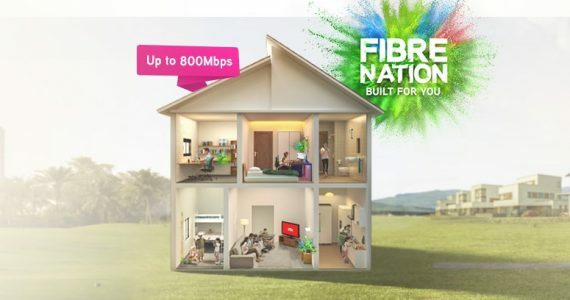 Carrying a starting price of RM599, you really couldn’t ask for more. However, is the device able to keep up with people’s expectations? The Realme 3 is a small upgrade over its predecessor, featuring the same 6.2-inch HD+ display with a screen resolution of 1520 x 720. In the heart of the device is the Mediatek Helio P60 SoC with a large 4230mAh battery. Do note that the global version comes with the P60 SoC; the P70 variant is only intended for the Indian market. Realme 3 comes with two different configurations for the memory and internal storage. The unit we are reviewing is the marginally higher-end model with 4GB RAM and 64GB of internal storage. The Realme 3 is clearly designed for the millennial in mind, as its trendy design and glossy, gradient-coloured back would suggest. Placing the device under a light source reveals the blue and purple glitter effect that encases the device. 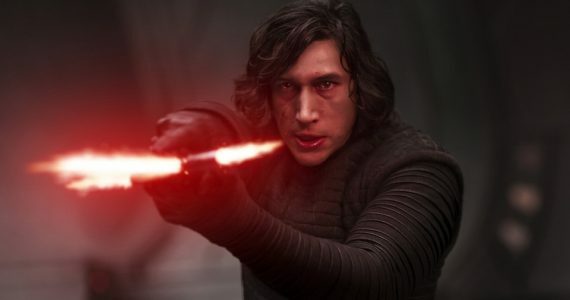 One minor design flaw that I can point out is the camera bump. The sensor is a delicate part of the phone, and the fact that it sticks out leaves it prone to scratches and scuffing. 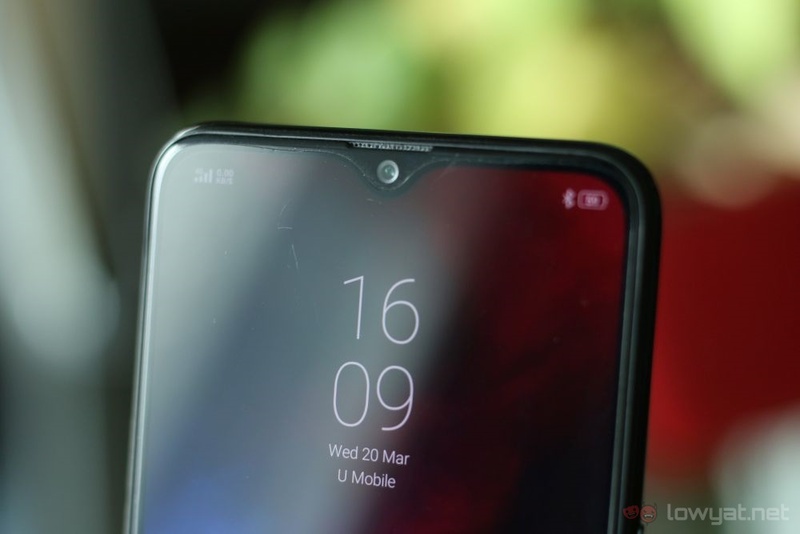 Fortunately, Realme’s remedy to the issue is to ship each phone out with a protection case. 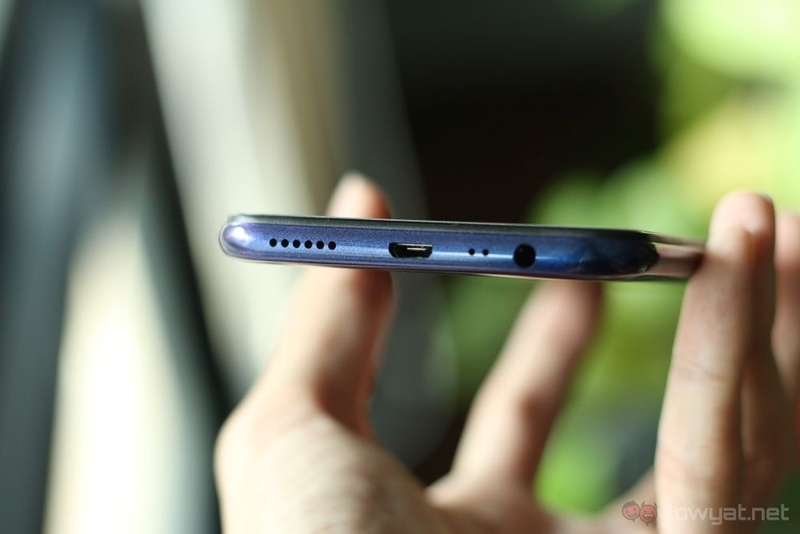 In a time where plenty of devices have transitioned to USB Type-C, Realme 3 appears somewhat dated with its Micro-USB port. There are a few reasons why many people prefer USB Type-C. For starters, it’s reversible. Second, it accommodates faster data transfer speeds, and above all else, it supports higher wattages for fast charging. If you’re a business owner or a frequent traveller, the Realme 3 has got you covered. 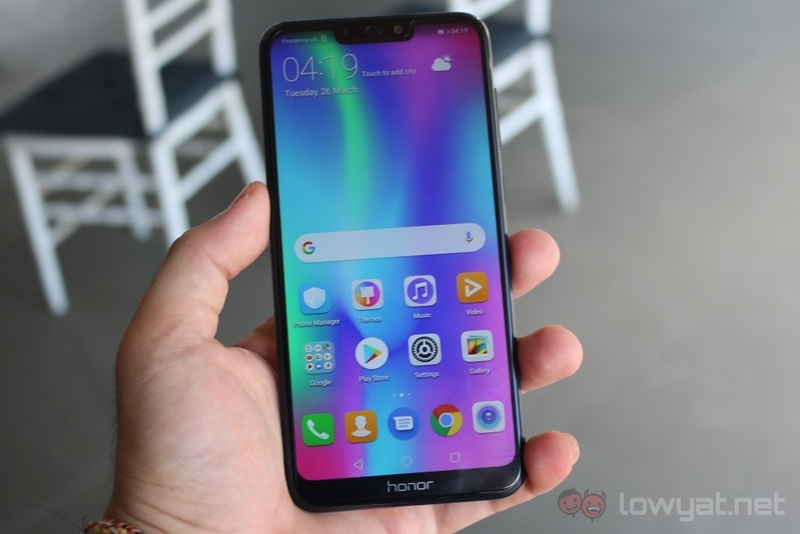 It comes with a triple slot SIM tray that supports dual nano-SIM cards and microSD card slot, allowing users to expand the phone’s storage capacity by an additional 256GB. Over the past two weeks, my time with the device was pleasant. 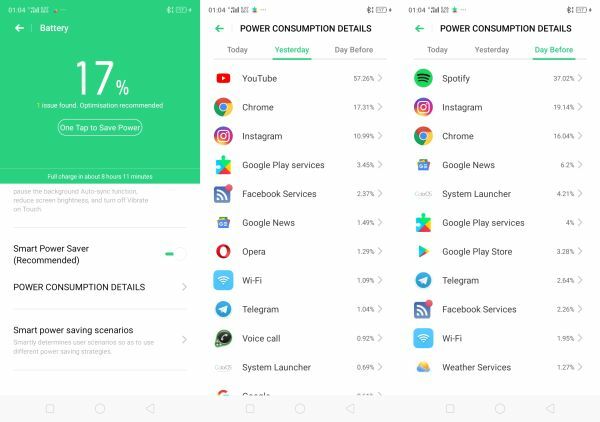 As my daily driver, Realme 3 is able to keep up with my usage. Despite running on a MediaTek P60 SoC, the device is snappy and I rarely feel any lag jumping in and out of apps. The MediaTek P60 also crushes any games that I throw at it, which is no small feat for a device of this price range. To test it out, I played PUBG Mobile for an extended period of time. Throughout my gameplay, the frame rates were smooth, with no visible lag in-game. Further, the temperature of the device also stayed at a relatively comfortable level. Stock Android Experience With ColorOS 6. 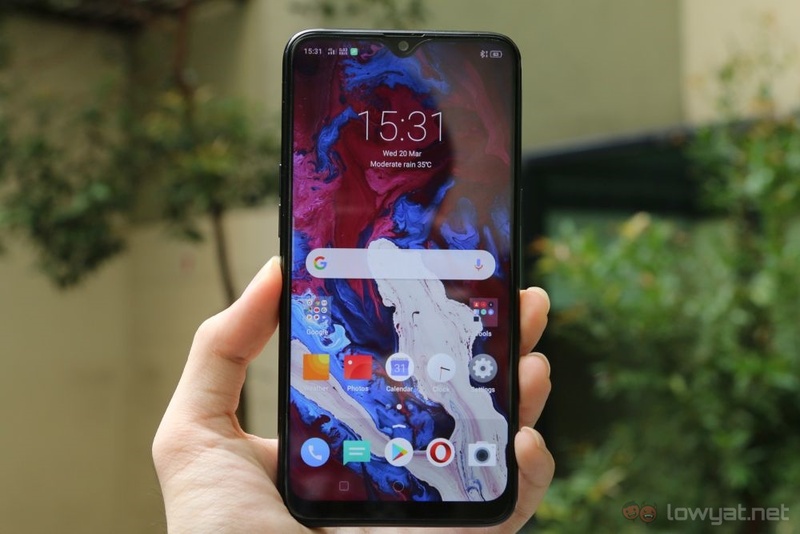 Surprisingly, the ColorOS 6 UI, which is based on Android 9 Pie, offers an experience very close to stock Android. If you’re familiar with stock Android, I believe that you’ll feel right at home. Plus, there’s a minimal amount of bloatware, which really makes the phone feel fast and responsive. 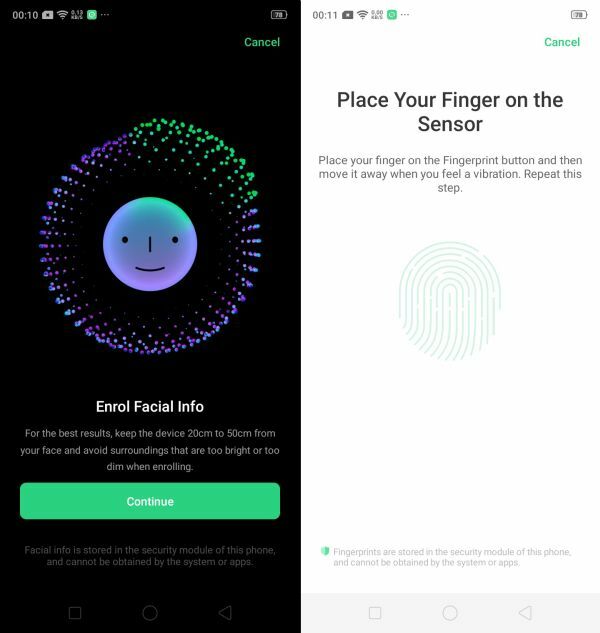 The Realme 3’s Face Unlock feature is also fast and accurate. All it took was a few seconds to register my facial details and I was good to go. Whether I’m using the face unlock or the fingerprint scanner, I could unlock the device instantly. On the synthetic benchmarks of the Realme 3, the phone performs as expected for a mid-range SoC. On AnTuTu, the device achieves a score of 129056. 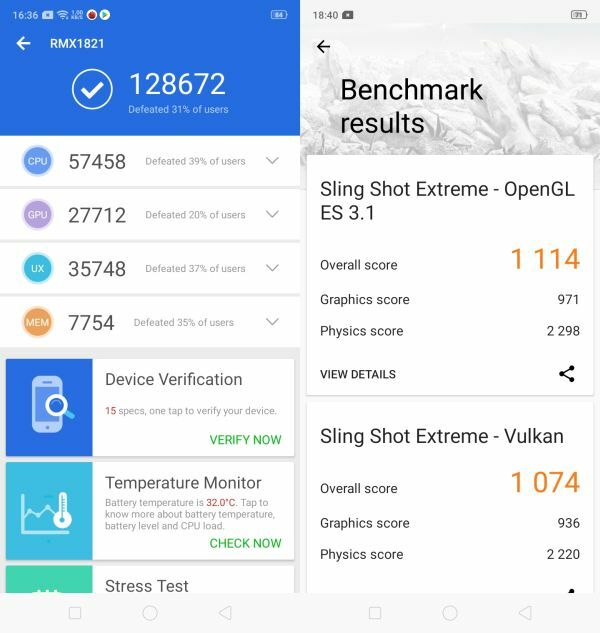 On 3DMark, it scored 1114 on the Sling Shot Extreme OpenGL ES 3.1 test, while the same test using the Vulkan API earned a score of 1074. Although the MediaTek chipset isn’t churning out the best benchmark scores, it can clearly take anything that thrown at it. As mentioned earlier, graphically intense games like PUBG Mobile is able to run smoothly and switching between apps is fast and snappy. Battery life that puts your mind at ease. 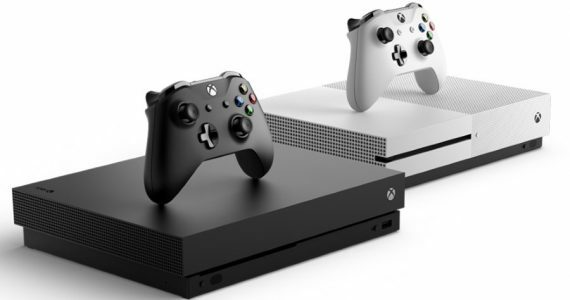 The one thing that absolutely stands out is the large battery pack, and frankly, it’s a sideshow that’s slowly becoming the norm. I am impressed to get a full day of use out of this device with a single charge. I consider myself a heavy user, and am often quite liberal with YouTube videos, browsing social media apps, and listening to Spotify via my Bluetooth earphones. With moderate use, the device is able to last approximately two days before needing a recharge. 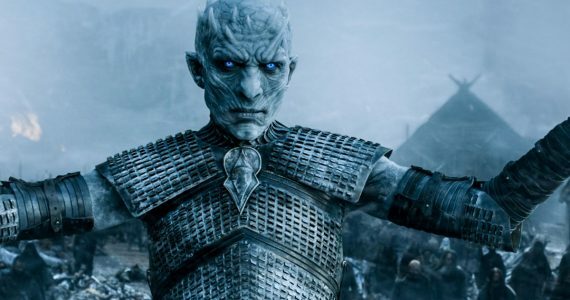 I ran a continuous video loop test for eight-and-a-half hours and by the end of it, I was left with 40% of battery life – more than enough to keep me going for the remainder of the day. The dual main camera of the Realme 3 around the back comprises a 13MP + 2MP camera configuration. AI works behind the scenes to help you take photos worthy for Instagram. If you fancy yourself an amateur photographer, you will find the Realme 3 to be a reliable device for your needs. Like most cameras, the device works well in ideal lighting conditions. You can bring the ISO to a minimum and reduce as much digital noise as possible. Beyond that, there’s nothing groundbreaking about the camera, although there are some issues that can serve as a dealbreaker. When more light is introduced, the shadows become harsher, which puts the dynamic range to the test. The HDR is set to auto by default and the feature itself does a decent job when needed. Images have a good balance of exposure and colours while retaining as much detail as digitally possible. Night photography isn’t an easy task to accomplish, especially with devices of this price range. But Realme 3 did it, and dare I say, it did it spectacularly. The device’s Nightscape mode performs impressively under low-light conditions. Images taken in this mode retains a lot of detail, even under minimal light. This feature shines best when used for night time urban photography. As it prevents the glare from streetlights and signboards from being reflected in the images. The only drawback of the Nightscape mode is its processing time. The camera will ask that you keep the device steady for a few seconds while the software does its magic. The processing time also varies, depending on the amount of light available in your immediate surrounding. To put it in a nutshell, the less light there is, the longer the processing time. For the record, I should point out that – at the time of writing – I had forgotten to turn off the watermark feature via the camera’s setting. Hence the brand’s watermark at the bottom left corner of the images. 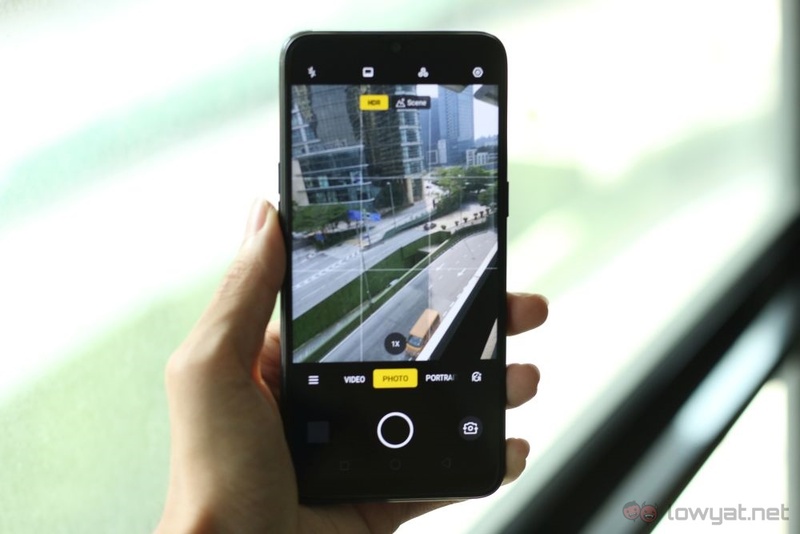 With a starting price of RM599, the Realme 3 offers a MediaTek P60 with a maximum of 4GB RAM and 64GB of internal storage. 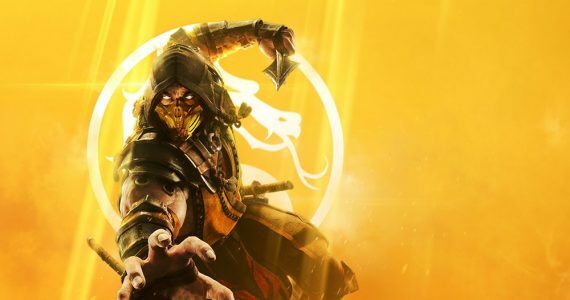 With such a competitive price though, only a few devices can be considered its worthy opponent. It’s no surprise that the Honor 8C would be on this list. 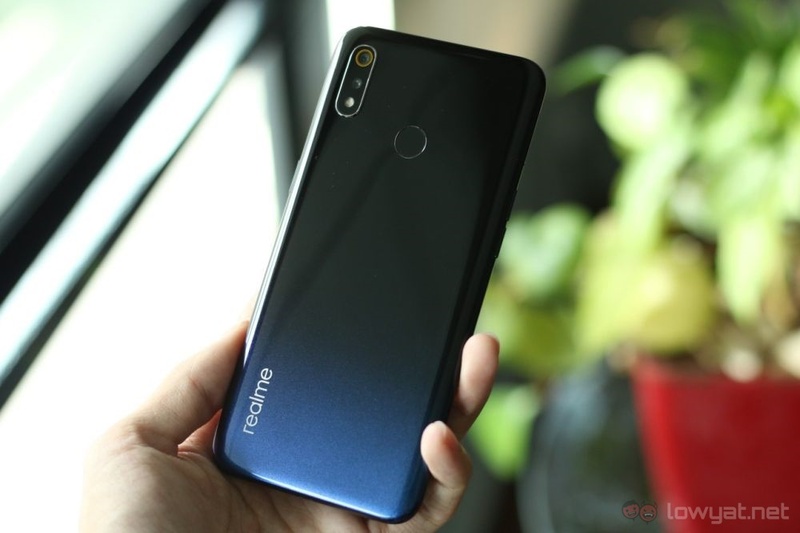 The device is like a fraternal twin to the Realme 3; Not only does it have a similar price tag, the two phones also run near identical hardware as well. Specs-wise, the Honor 8C has a Qualcomm Snapdragon 632 SoC with 3GB RAM and 32GB of internal storage. The rear camera setup is also identical with a 13MP + 2MP camera combo. 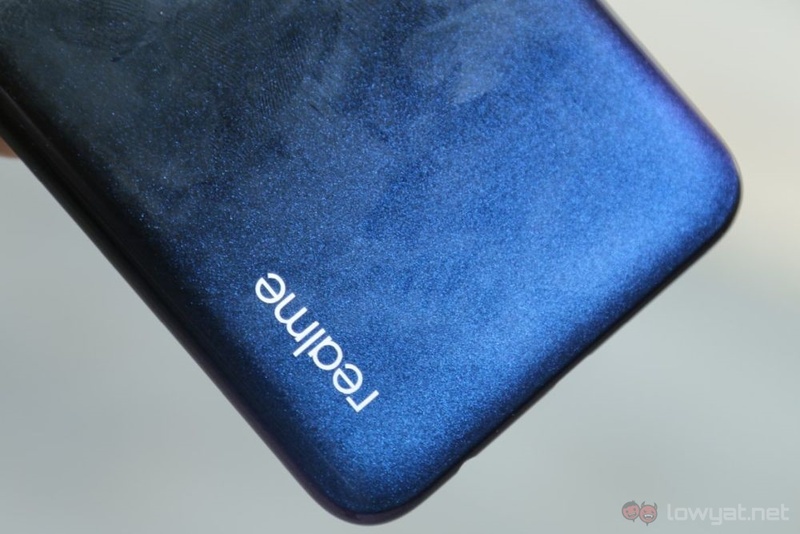 The image quality produced on it is fairly similar to the Realme 3, however, the images tend to be on the warmer side. 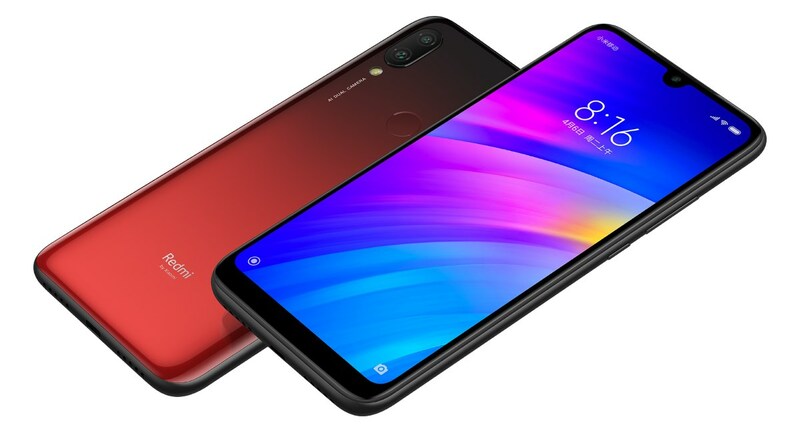 The Xiaomi Redmi 7 is yet another mid-range smartphone that provides very good value for money. 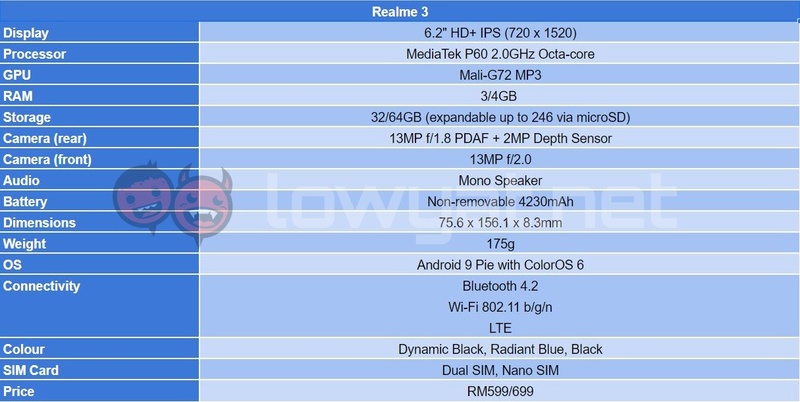 Retailing at RM599 for the 3GB RAM model with 32GB of internal storage, the phone is pretty much on the same playing field as the lower-tier variant of the Realme 3. Even more interesting is that the design language is similar to the Realme 3. Sporting a gradient colour panel in the rear, a vertically placed dual camera setup, and a 6.2-inch HD+ display. 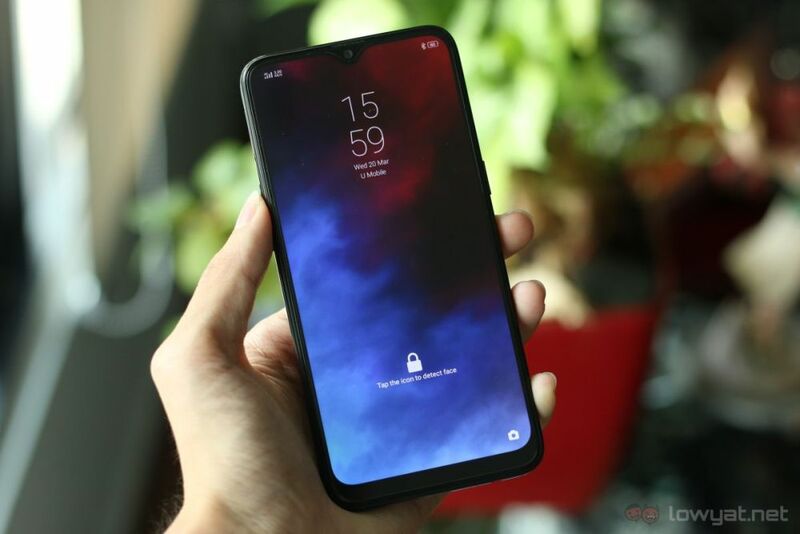 What separates the Xiaomi Redmi 7 from the Realme 3, however, is the latter’s support for storage expansion via a microSD card. Overall, the Realme 3 is a bang-for-your-buck device. It has a pretty decent MediaTek P60 with sufficient memory and storage, and a large internal battery that could last you a long time. 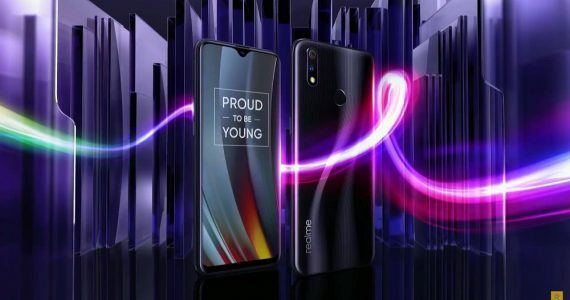 It’s evident that Realme has invested a significant amount of effort in creating an appealing entry-level device. An all-rounder device with extraordinary battery life. 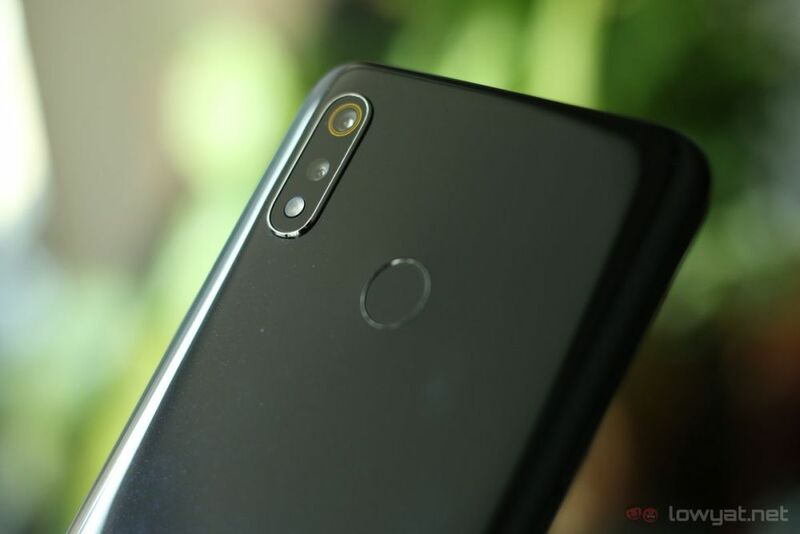 Granted, there are several unfavourable design choices like the camera bump and Micro-USB port, but I argue that the phone’s competitive price point justifies whatever flaws the device carries. So, If you’re looking for a stylish and efficient device that can last you the whole day, the Realme 3 is the device for you.